Bespoke seating specialist Repose Furniture is rounding off the year with its final retailer promotion, offering its retailers a free luxury pocket sprung cushion upgrade worth £30. Available throughout December, the promotion is available on chairs within its extensive homecare range (not available on seat widths over 22” or seat depths below 16”). 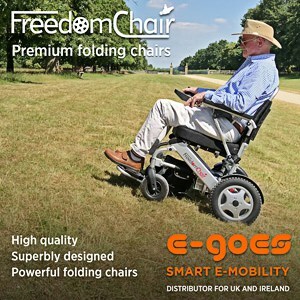 According to the company, the cushion upgrade provides the user with enhanced comfort in their chair. The traditional pocket sprung cushion designed with individual high tensile steel coil springs in individual pockets to give consistent support throughout the chair’s life, as well as providing lasting shape to the seat cushion. Starting its retailer monthly promotion campaign in January 2017, this is the second year that the West Midlands-based manufacturer of specialist seating has provided its retailer network with unique promotions each month. Commenting on the end of the campaign’s second year, Lisa Wardley, Managing Director of Repose Furniture, said: “2018 has been another successful year in the story of Repose Furniture and I hope our retailers have benefited from the monthly promotion campaign we have been running throughout the year. To qualify for the December special offer, retailers should quote December2018 when placing an order between 1st and 20th December 2018. Repose Furniture will close for Christmas on Thursday 20th December and re-open Wednesday 2nd January 2019.